Earlier today I had the pleasure of interviewing Gregg Robertson, aka TheSaffaGeek, about his newly attained VMware VCDX certification. Gregg is a fellow virtualization geek based in the UK but works here in The Netherlands for his current project. He has worked extremely hard to get the VCDX (as I’m sure all those who passed did), so understandably he was very happy when he learned he had successfully defended his design last week in the UK. Gregg’s blog has a wealth of information not just on virtualisation technology but a number of study resources. 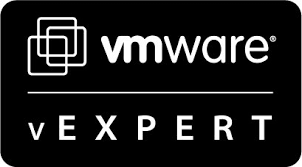 Anyone looking to advance there VMware skills or attain new certifications would do well to check it out!